Missed Our Live Stream? Watch the 6-Hour Replay Right Now! If you missed our first Twitch live stream, you can watch the entire replay right now. Thanks to everyone who joined in the fun on our first live stream event - we had a fantastic time and can't wait to do it again. But if you missed the stream, for whatever reason, you can watch the entire thing right here. 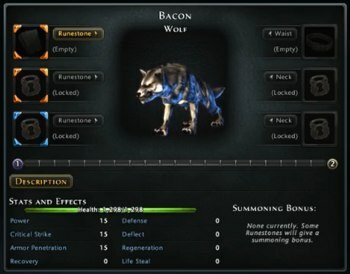 In the 6+ hours of our D&D Neverwinter stream, we leveled our Trickster Rogue (named Susan Finkledash) from 1 to 18, used way too many healing potions, and made a friend for life - our beloved pet wolf, Bacon (Bacon joins the crew at around the 5:24:00 mark). We'd love to hear your feedback on our first stream, as well as suggestions for future streams. Thanks again, everyone!